I suppose I don’t do very well with timed challenges. I started out creating a card for the Papertrey Ink Anniversary Timed Challenge, grabbing my 7 supplies and going to work on it. But it quickly spiraled out of control, and I kept ‘needing’ to add things to it. 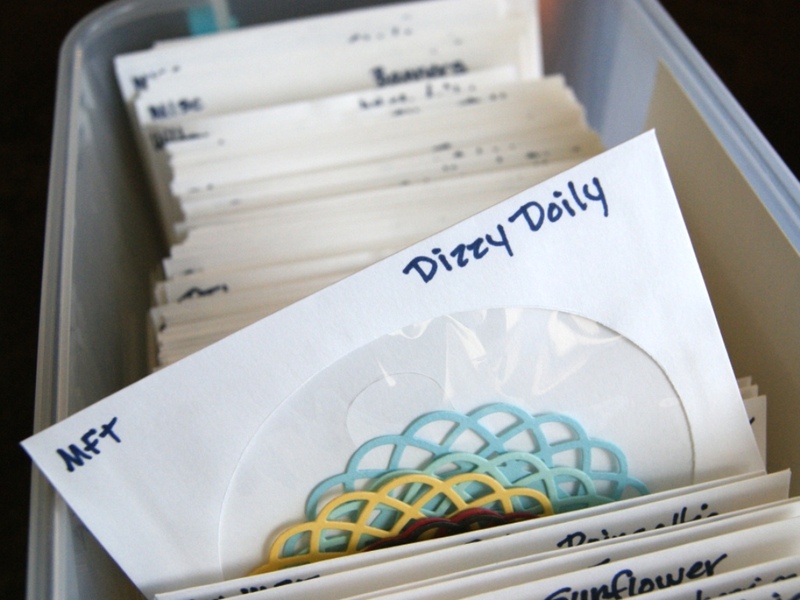 My 7 supplies turned into… quite a few more. I’ll show that card on another day. 1. 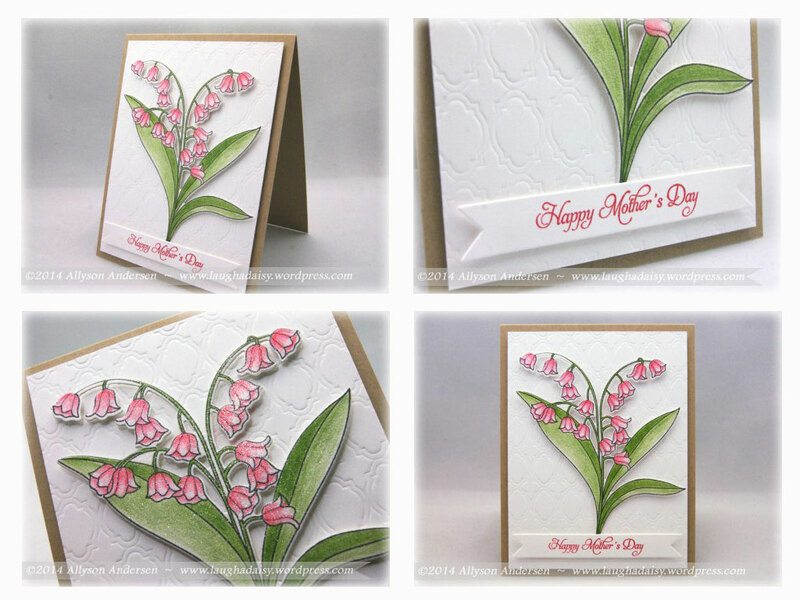 A pre-stamped, pre-colored, pre-glittered Year of Flowers Lily of the Valley image from my stash box that has been waiting to be used since our last end-of-summer family vacation. 4. Pre-cut Double-Ended Banner from my stash box. 5. 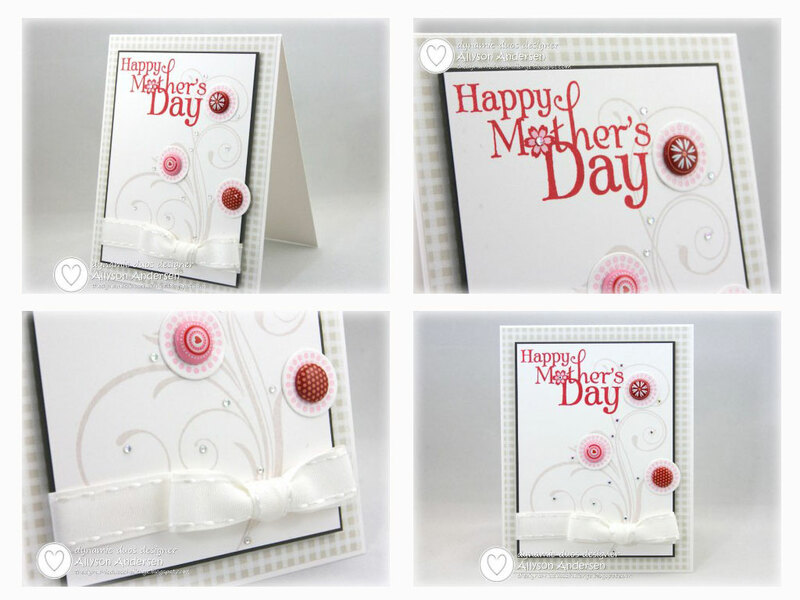 Delightful Dahlia sentiment stamp. 7. Moroccan Motifs impression plate. 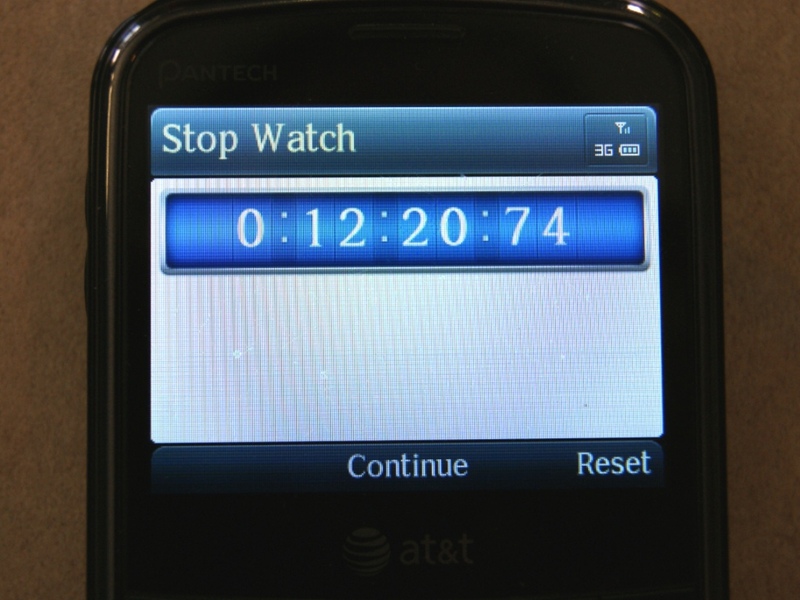 And a snapshot of my phone timer at 12 minutes 20 seconds, etc. A very simple card, considering I began with some elements previously created. But it still took me a fair bit of time. 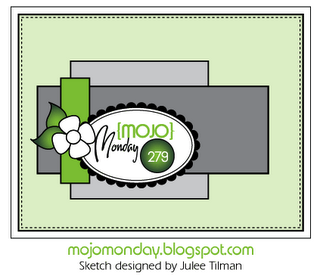 And honestly, I might add a few rhinestones before I send this out to my mom for Mother’s Day in May. 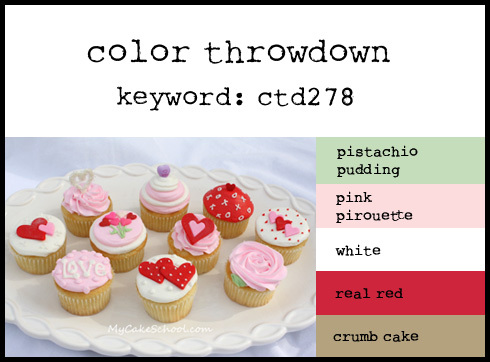 I am also entering this into the current Color Throwdown Challenge #278, since the colors seemed to match pretty well. 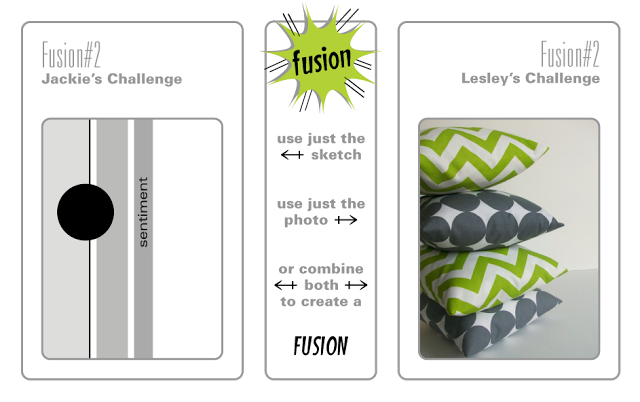 Just checking in to let you know that the Fusion #2 challenge is still open for 2 more days. I also thought you might want to see the two cards that didn’t make the cut for this challenge. This is the more masculine card I created first, using a fairly literal interpretation of the photo – alternating circles and chevrons in the colors shown. Not my favorite, but it’s okay, I suppose. And this card was second. 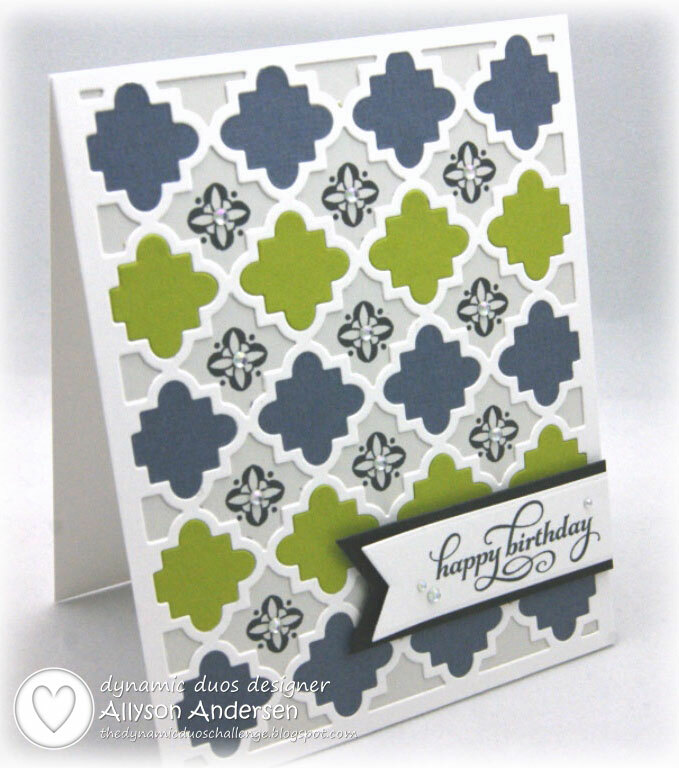 Basically just using the alternating colors scheme with the Quatrefoil die. 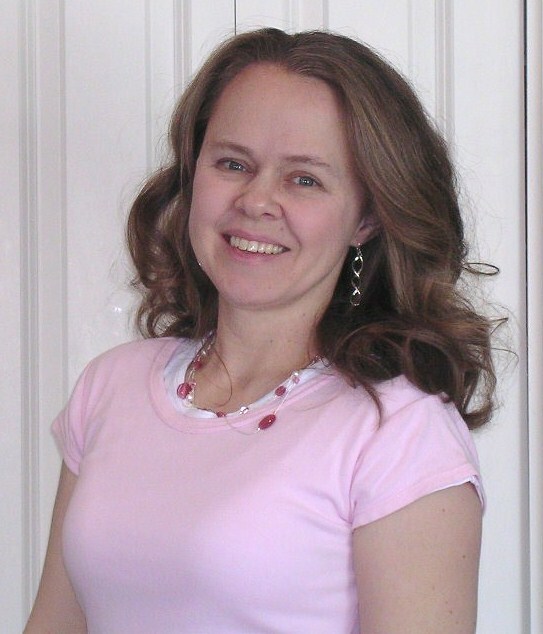 Again – this is okay, I’m just not in love with it either. Okay, there you have it! Hope you enjoyed this little peek of my failed attempts. 😉 Thanks for stopping in today! There are about 2 more days to enter the Fusion #2 challenge, then voting will start on Wednesday, and winners will be announced on Thursday. 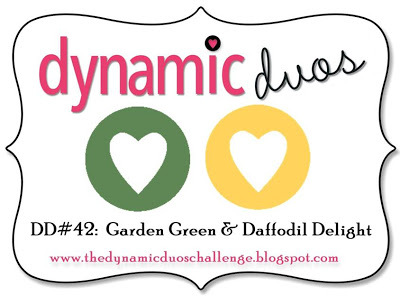 I am here today with my contribution to this week’s Dynamic Duos challenge, for the colors Garden Green and Daffodil Delight. 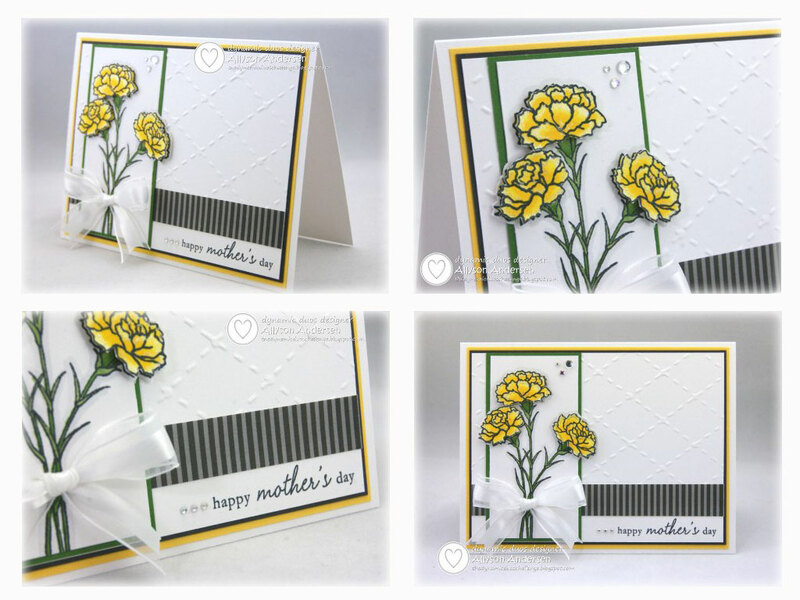 Hubby said his mother would be delighted to receive this card for Mother’s Day, so that is where it will be directed in a few months. I stamped the flowers twice and popped one set of them up with foam adhesive for a little depth. Make sure you stop in to see what the rest of the Design Team have created and to check out the details for the challenge. I hope you will participate with us! The papers are from a MME paper pad I bought recently, stamped here and there with some words and flourishes. 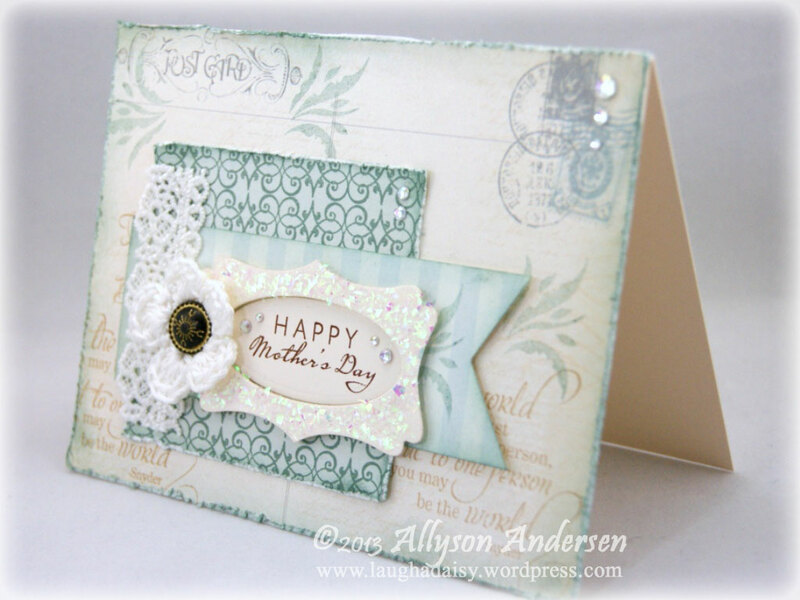 The aqua background layer was stamped with an ornate Grateful Elegance stamp. I’ve also used my favorite lace and one of my little hand-crocheted flowers. I thought the glitter frame would be fun, but I didn’t realize that the white vintage-leaf glitter I used would come across as a rainbow color in the photos. The above photo makes it look more clear, but the rest of the photos make the glitter look quite out of place in all this aqua and cream. Thank goodness it doesn’t look this dorky in real life! Anyway. 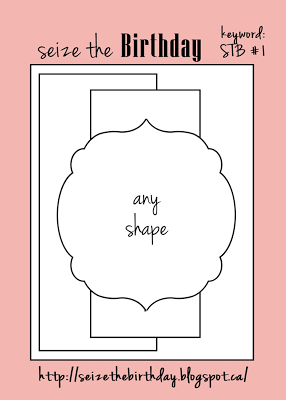 It started out as a ‘thinking of you’ card, but quickly morphed into a frilly Mother’s Day card that I’ll send to my foster mom in a few months. At this point in time, I know these colors scream Valentine’s Day. But I wanted to do things differently, since I don’t really need very many Valentine cards. Last week was all about father, so this week I went with a theme for Mother. I used my Fancy Flourishes stamp set, since I can never stay away from it for long. 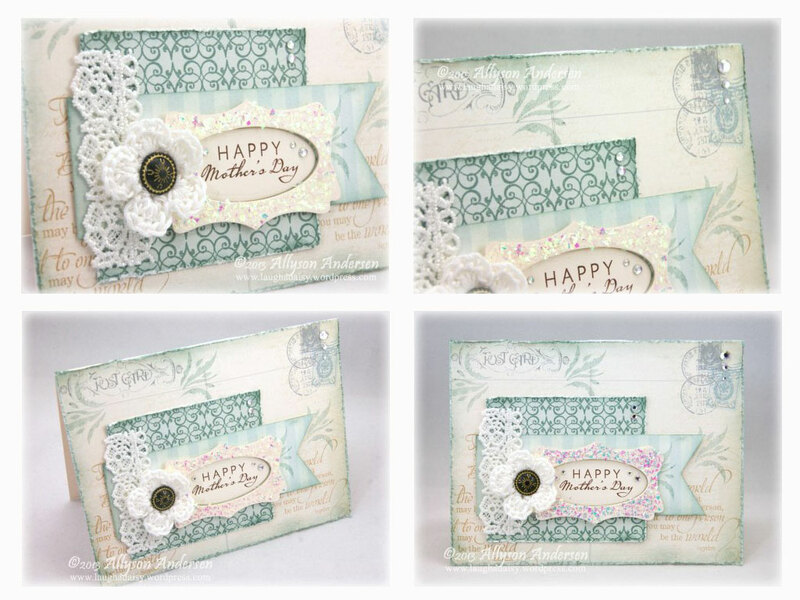 And I tried out my new Heart-2-Heart 12 stamp set. Those little dotted circles are adorable! The sentiment is a Verve Plain Jane stamp. I purchased the brads a long, long time ago, so I was happy to use them here. I figured a few scattered rhinestones might be nice, and I colored the little flower in the sentiment with a Copic marker. 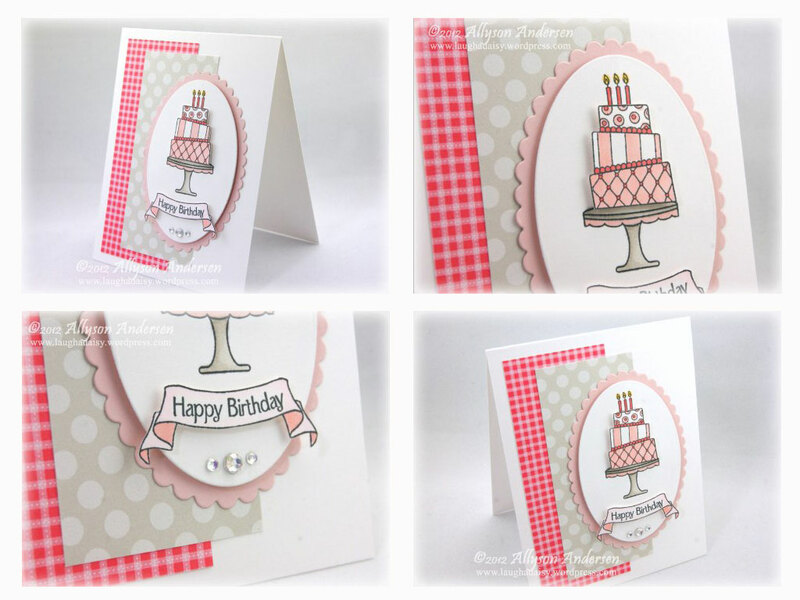 The gingham DP is by Papertrey Ink – I just love the Soft Stone paper pack! 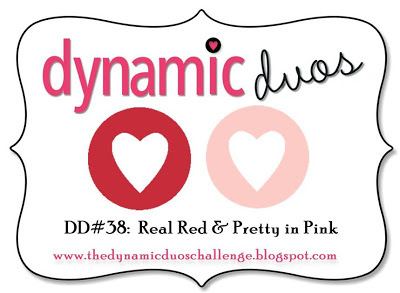 Make sure you stop in to see what the rest of the Dynamos have created and to check out the details for this challenge. I hope you will participate with us! Isn’t it interesting how everything in life still has to continue on even though Mommy feels like she’s been hit by a semi truck?? Maybe not interesting. Maybe it should be illegal, though. So, in between making homemade granola and homemade cinnamon rolls yesterday, and making dinner, and doing the laundry, and losing my voice to the point that no one can hear what I’m saying now unless they’re standing right stinkin’ next to me…. For Lesley’s new Seize the Birthday challenge. I think this challenge is a brilliant idea. Mostly because I have a zillion in-laws, and having a ton of birthday cards on hand would be simply splendid! But I digress. I think this is a noble attempt, considering how I’ve been feeling the past week, and how I still feel even today. It seems a bit unbalanced, to me, and I kept sensing that I should add something to the right side of the card, to balance out that HUGE chunk of PINK I used on the left side. But I’ll be darned if I can’t get a single, clear, logical thought to go through my mind right now! I promised myself that I will use more of my neglected supplies this year. 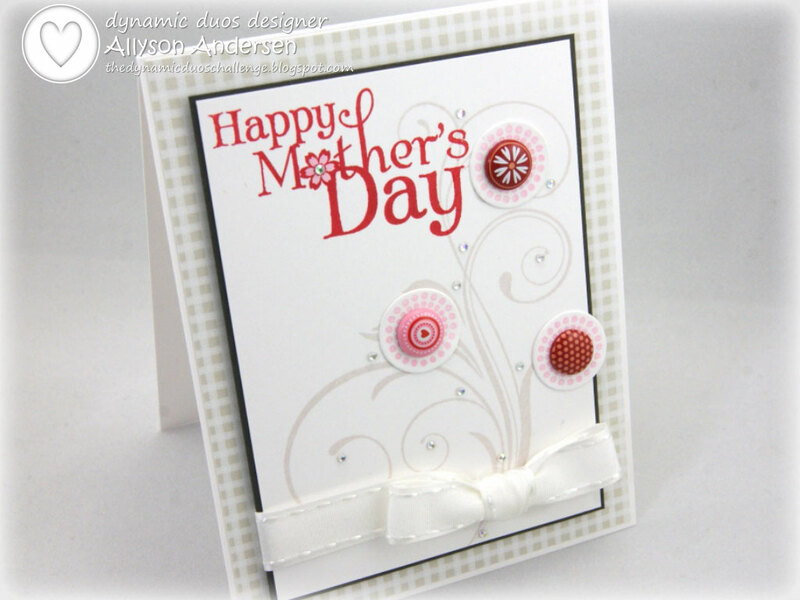 And so this card was made with some There She Goes stamps that I’ve had for a long time but never used. Aren’t they cute? I colored them with my Copic markers and then fussy cut some to pop up on dimensional adhesive. I’m not sure it’s all that bad. But then again, I also believe that there is an invisible martian with a death grip on my head, so I won’t claim to be sane. 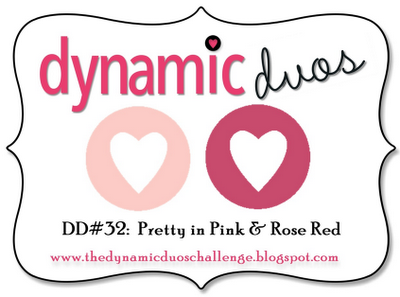 Something today for the Dynamic Duos challenge #32, which is to use Pretty in Pink and Rose Red on a project. I admit, I was delighted to see a bit of pinkity pink, pink! I know that at this time of year, you might want to see a bit of Christmas inspiration. But I haven’t used my Gracious Vases stamp set much since receiving it, and I wanted to give it a little attention. 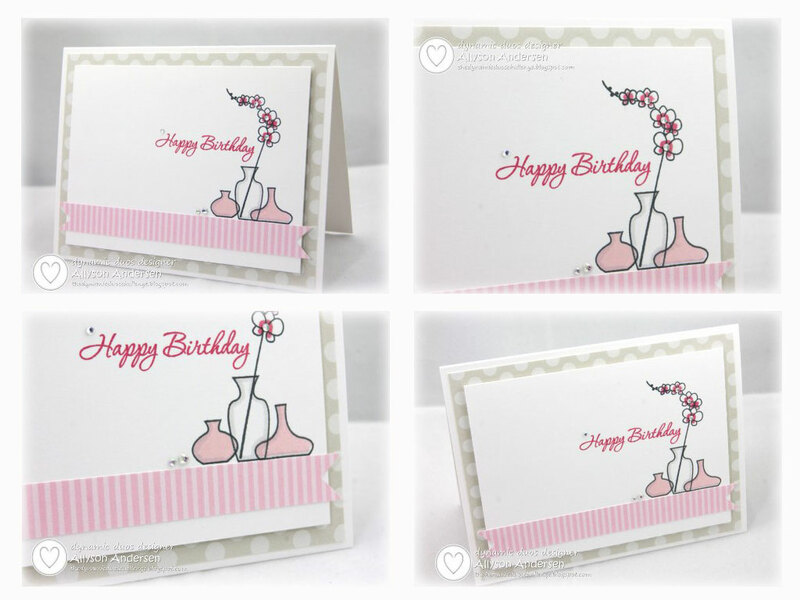 I also immediately opened my new packs of Soft Stone and Sweet Blush pattern papers for this card. 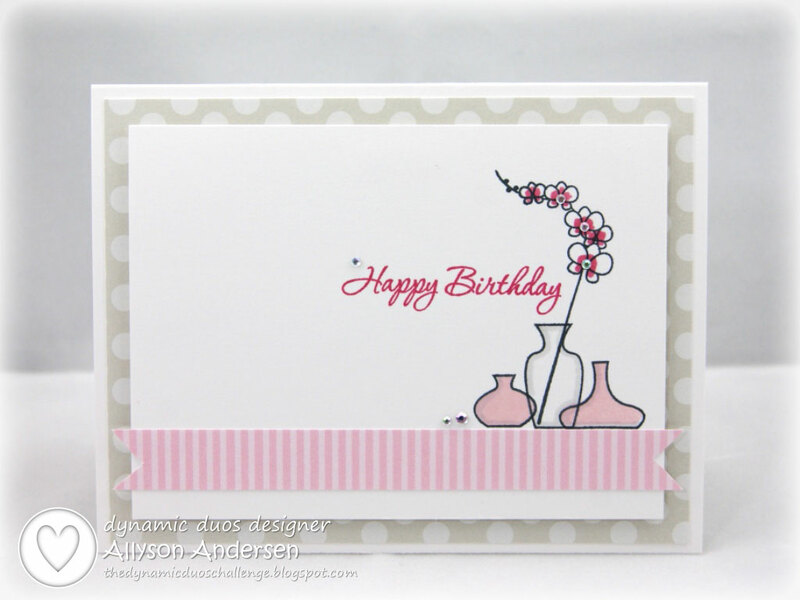 I stamped the outline vases and flowers in black ink and the full vases in Sweet Blush ink. I used a gray Copic marker to outline the vase interiors just a tad, and then a coordinating pink Copic marker to highlight the flower centers a bit. 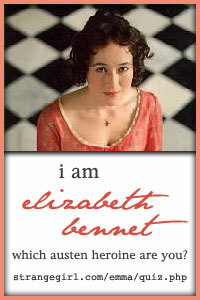 The sentiment was stamped in Rose Red ink. 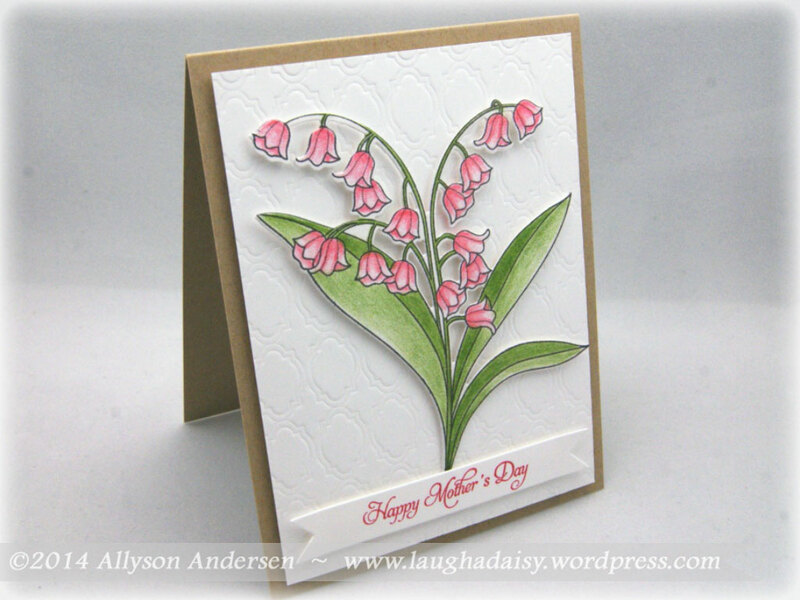 And of course, what card by Ally would be complete without a few scattered rhinestones, eh? Yep. Make sure you stop in to see what the rest of the Dynamos have created and to check out the details for the challenge. And I hope you will participate with us!